IBNLive welcomes you all to the live blog of Oscars 2014 nominations. Stay tuned for all the live updates. 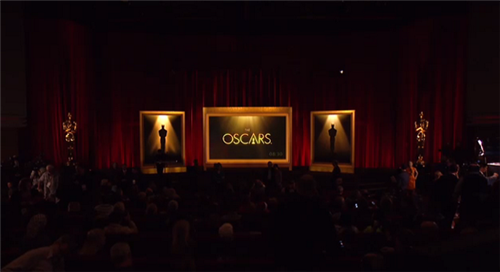 We're almost ready to announce #OscarNoms - here's a look inside the theater. Thanks for being with us throughout the live blogging of Oscars 2014 nominations. Stay tuned for more. And panelists, let us know when you're online and ready to chat. Just waiting for Bob, Rachel and Paul and we'll get started. Welcome, Rachel...glad to have you with us today. Welcome back, Bob. Thanks for chatting today.